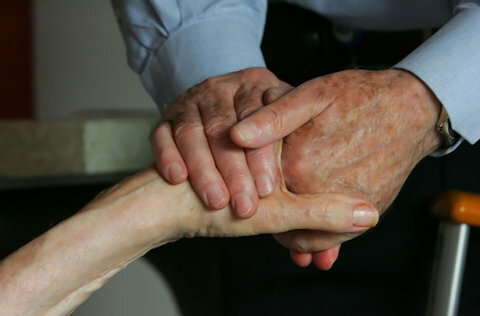 Fresh off the heels of the Department of Labor Standards’ decision to drop private-pay home care licensing, the state’s Division of Insurance is accepting comments on regulations related to long-term care insurance. The Home Care Alliance offered oral and written testimony on proposed amendments to 211 CMR 65.00 at a public hearing on August 1st. The regulations aim to set new standards for long-term care insurance policies, rate setting and cost controls and creates various consumer protections. The Home Care Alliance’s Accreditation Program and unexpired DLS licenses should be placeholder requirements for long-term care insurance coverage until the state and advocates can pass meaningful licensure measures. Home Care Alliance Accreditation allows workers who are not home health aides/certified nursing assistants to provide certain services in the home and DOI’s regulations should reflect that flexibility. In the “sample definitions,” the Activities of Daily Living do not include “grooming and personal hygiene,” which is a traditional ADL and one that is vital to the well-being of people wishing to avoid facility-based care. More details are available in the full copy of HCA’s comments, which can be obtained by contacting James Fuccione at the Alliance. The Massachusetts House and Senate have named members of a select “conference committee” that will work to negotiate differences between the House and Senate budgets for a final version to be sent to Governor Patrick. Please visit the Home Care Alliance’s Legislative Action Center and send a message to the conference committee members to support two important budget amendments. The message will automatically be sent to conference committee members. The first (Senate Amendment #718) would create MassHealth reimbursement for telehealth services provided by a certified home health agency. Language was included in previous budgets with weaker language that did not compel MassHealth to act. This year we again seek the inclusion of this cost-saving service with the words “the commonwealth shall recognize telehealth remote patient monitoring provided by home health agencies as a service to clients otherwise reimbursable through Medicaid” as stated in Senate amendment #718. The second amendment (Senate amendment # 629) would add $674,789 to the state’s pediatric palliative care program, which serves the unmet physical, emotional, social and spiritual needs of children in Massachusetts with life-limiting illnesses. Since both of these amendments were approved in the Senate budget, but not the House, advocates have to urge that conference committee members support the inclusion of the amendments in their negotiated version. If you live in the area of one of the conference committee members and would like to advocate for these amendments directly, the committee members are listed below with link to their profile pages (including contact info) on the state legislature’s website. It only takes a minute to send a message and advocate for these important issues!